Vitamin C plays an important role in your body. It helps build collagen, aids in wound repair, hormone function and supports your immune system. A deficiency could cause a number of ailments, ranging from minor to severe. Know the symptoms of a deficiency to help recognize when you may need to add more of this important vitamin to your diet. Vitamin C deficiencies can cause a number of problems, some of which may look like another ailment all together. Treatment of a vitamin C deficiency involves taking supplements until therapeutic levels have been reached. Because your body does not store or manufacture this vitamin on its own, you will need to take supplements continuously, or eat a diet of foods high in the vitamin. The Recommended Daily Allowance is from 60 - 90 milligrams. However, during times of physical or emotional stress your need for the vitamin will increase. People who smoke or who are routinely exposed to cigarette smoke will need to increase their daily intake by about 35 milligrams to prevent deficiencies. A severe C deficiency is known as scurvy. Ascorbic acid, which is the chemical name for the vitamin, is actually derived from the Latin word for scurvy, which is scorbutus. Scurvy can be prevented by consuming only 20 milligrams of vitamin C per day. However, this is not enough to support normal growth and healing. 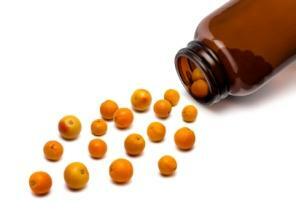 Deficiencies can still exist in people who get enough of the vitamin to prevent scurvy. If you or your doctor suspects that you have a C deficiency, several tests may be done to confirm this, as well as rule out other, similar appearing disorders. Because this type of deficiency can look like blood clotting disorders, leukemia or gingivitis, it is important to test to rule these out before assuming that the problem can be corrected through supplements or a diet change. Testing for a deficiency is done in either your plasma, to determine the current level of C in your blood, or by testing your capillaries for fragility. Because the vitamin can be flushed out of the body easily, both of these tests may be done to confirm diagnosis. Deficiencies in vitamin C are not a common problem in most developed nations. However, if you are concerned your intake may not be adequate, please speak to your doctor or another qualified healthcare practitioner. A Registered Dietitian can help you to create a diet and lifestyle plan that includes a sufficient quantity.